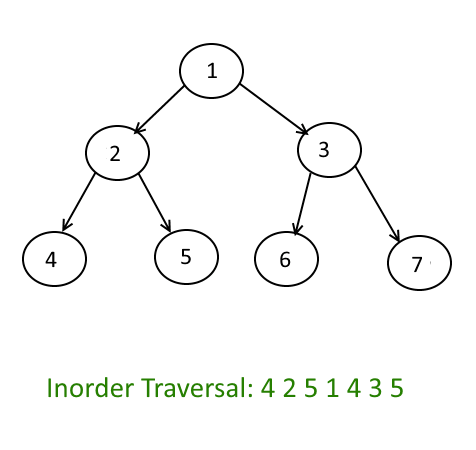 Objective: Given a binary tree, write a non recursive or iterative algorithm for Inorder traversal. Earlier we have seen “What is Inorder traversal and recursive algorithm for it“, In this article we will solve it with iterative/Non Recursive manner. Since we are not using recursion, we will use the Stack to store the traversal, we need to remember that inorder traversal is, first traverse the left node then root followed by the right node. Push the root into the stack and set the root = root.left continue till it hits the NULL. Pop the top Node from the Stack and set it as, root = popped_Node. print the root and go right, root = root.right. 241 queries in 0.159 seconds.